Bricks are versatile and easy to handle, making them a popular edging choice. Available in many colors and textures, bricks are rated according to their frost-resistance. 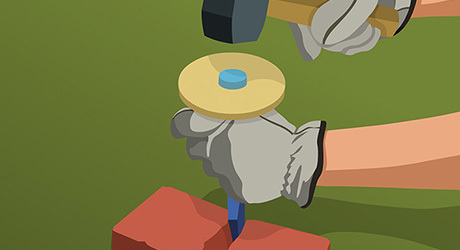 This guide will teach you the best way to add brick edging to your yard. 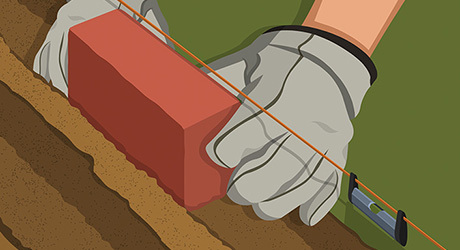 Whenever possible, lay out the borders of a garden bed so there is little or no need to cut bricks. Start edging at a fixed point, such as a house, and work toward an open area so you can adjust the length of a course if you need to. 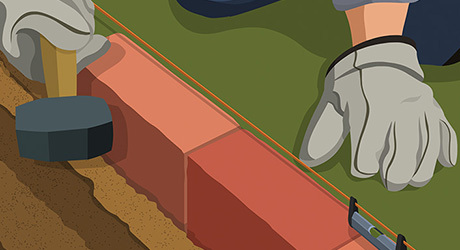 Lay out your bed and dig a flat-bottomed trench for the edging. Cut the walls of the trench straight up and down and tamp the bottom down firmly. 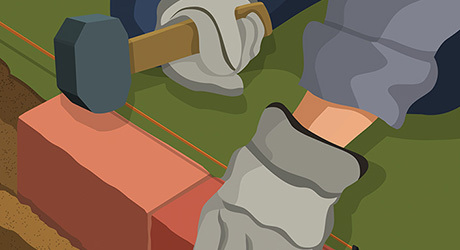 Run a mason’s line between end stakes along the edge of the bed. With a line level, level the mason's line at the height of a brick placed in the trench. Put the bricks in the trench, aligning their tops with the mason’s line. 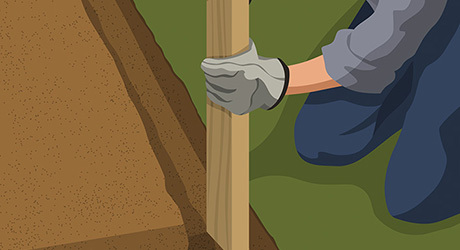 Adjust the depth of the trench by removing or adding and tamping soil as necessary so that the bricks sit level. Backfill with soil on both sides of the bricks. Seat the bricks by tapping with a rubber mallet. Realign the bricks as necessary. Set the last brick of a course in the trench so that it fits snugly. 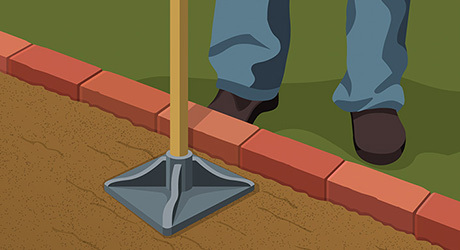 If possible, adjust the length of the course to accommodate a whole brick and avoid having to cut it. Lightly strike to score a line across each face of the brick. Set the brick on flat ground and strike it sharply at the scored line to break it. 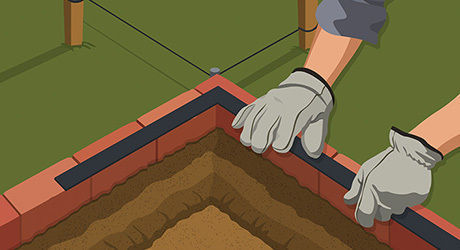 When edging a corner, run a second mason’s line between end stakes at a 90 degree angle to the first line. Set bricks in the trench, using the lines as guides and check for square with a framing square. Add soil to the bed and tamp gently along both sides of the edging. 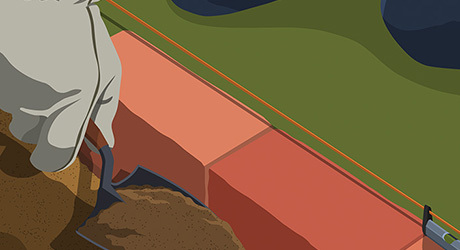 Work amendments, such as peat moss, manure or fertilizer, into the soil with a spade. Smooth the bed with a garden rake.